For immediate release: REIkit.com House Flipping, Wholesaling, & Real Estate Investment Software has released another premium data launch that will forever improve your ability to get more deals done faster and more profitably. This time, as promised, we launched loan history data, now available in all of our premium subscription plans nationwide. This is the second part of our premium data upgrade for all of our paid subscription customers. What does this release mean for you? 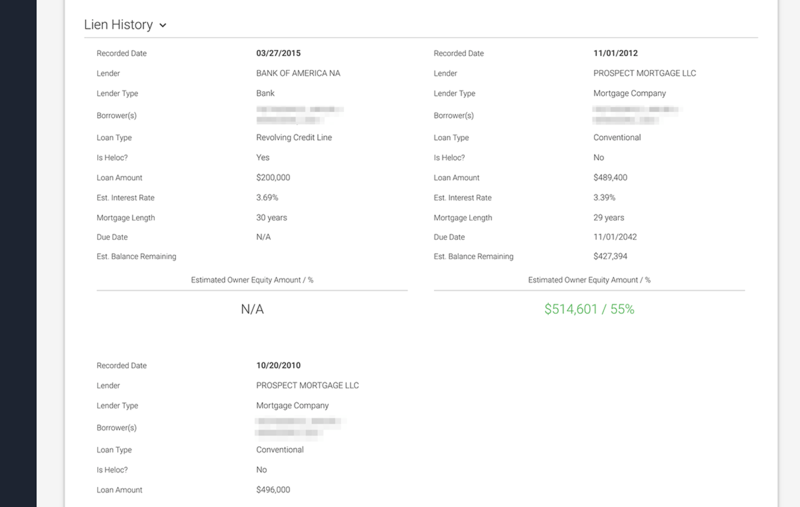 If you are a paid customer of REIkit.com, you now have access to all of the loans that were recorded since the last transfer of your target property. What insights does this new data give you? There is so much insight packed into this rich data set that you won’t find anywhere else…. First, you will now know the names of all of the borrowers on the property, giving you easy access to the property’s true owners. This should reveal if you are even negotiating with the right people. The Lender Type will tell you if they are working with a regular mortgage company, a subprime lender, or even a seller financing arrangement, giving you insight into potential loan assignment possibilities and new exit strategies you may not have had the option to use before. The Estimated Interest Rate is either the recorded rate, if available, or one based on historical data at the time of origination, giving us the ability to come up with an Estimated Balance Remaining for you. We calculate for you an Estimated Balance Remaining based on the rate and amortization schedule for the period of time since the loan was originated until today, giving us a pretty accurate estimate of how much of the loan they should have paid off by now. 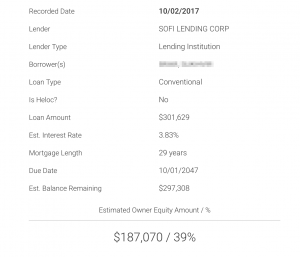 Now that we can estimate how much of the loan that they have paid off, based on the accurate ARV that you have come up in the tool, we can calculate for you their estimated level of equity as it relates to that loan, and so one of the most important factors driving their motivation to sell. Easily see if they are upside down so that you can stop wasting valuable time trying to make the flip work and quickly move on to another property; or see that they have a huge amount of equity giving you plenty of negotiation room. There are so many ways to look at this data. With this release you now have access to the insight that you need on a target lead, something our competitors simply won’t give you. Your entrance AND exit strategies absolutely depend on this crucial information! Although pricing is not going up just yet, and current customers are locked in to their pricing, this extremely valuable data will come at a premium in future plans. For current customers, this feature is capped at a generous 50 free loan data requests per month on all current plans, satisfying 99% of our customers’ usage scenarios. High usage customers can opt to purchase additional blocks of 50 loan data requests for only $20. Enough talk, it’s time to get your game face on, and start the week off by using this new data to get some deals done! Sign up for a free trial today to get access to all of these new features and lock in your pricing.